One packet contains at least 18 seeds. 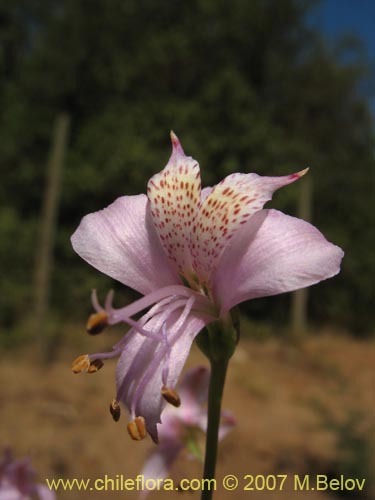 Alstroemeria revoluta has the smallest flowers in Chile which measure less then half the size of most other alstroemerias. 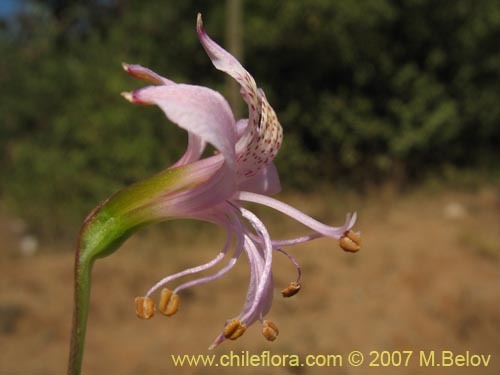 Despite that it still is a very attractive plant, because the flowers are delicately pink-colored and the petals bent back (that is where it names caomes from - revoluta) give it a very peculiar look. 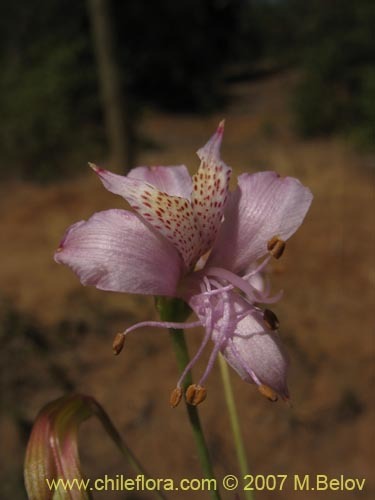 It grows in relatively rich soils, can tolerate some shade and may not be very hardy. 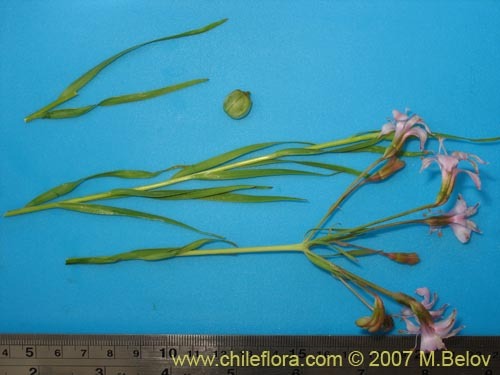 At least in Chile it grows in places where there is frost, but not snowcover. The easiest form to germinate this species is to plant it in autumn and expose the seeds to natural temperature fluctuations. If you decide to do it "scientifically," soak the seeds for a day or so in water, then put them into wet sand and put them into refrigerator at about +2 +5� C for about 30 days. Allow the seeds to breathe (ventilate from time to time) and check the humidity of the sand (it tends to dry out quickly, so adding moisture every three-four days is a must). Then take them out and plant at room temperatures. If not all seeds or few seeds germinate, repeat the cold step once more. This plant needs good drainage and relatively poor soil.